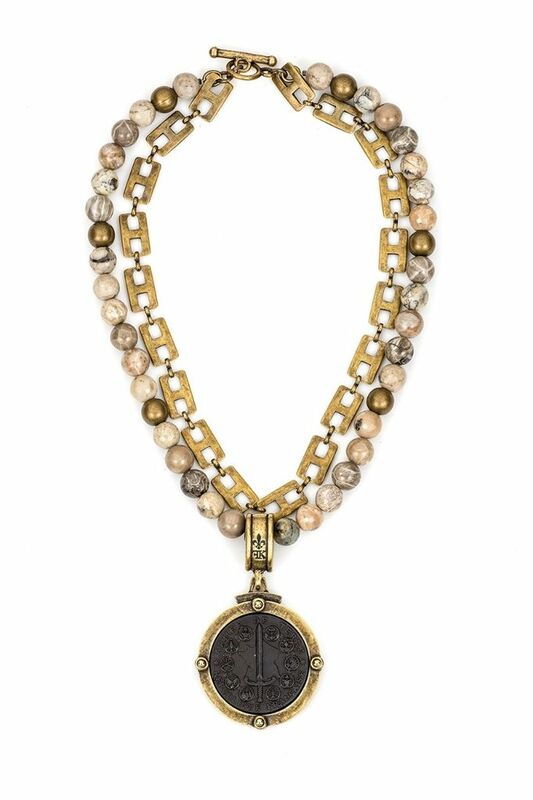 This necklace features two 17” strands of our hand-curated Cafe Au Lait Mix with brass wire and Henri chain, our exclusive FK Oval bail, Cabochon bezel and Du Terre medallion. Absolutely beautiful all by itself or layered with our other designs. 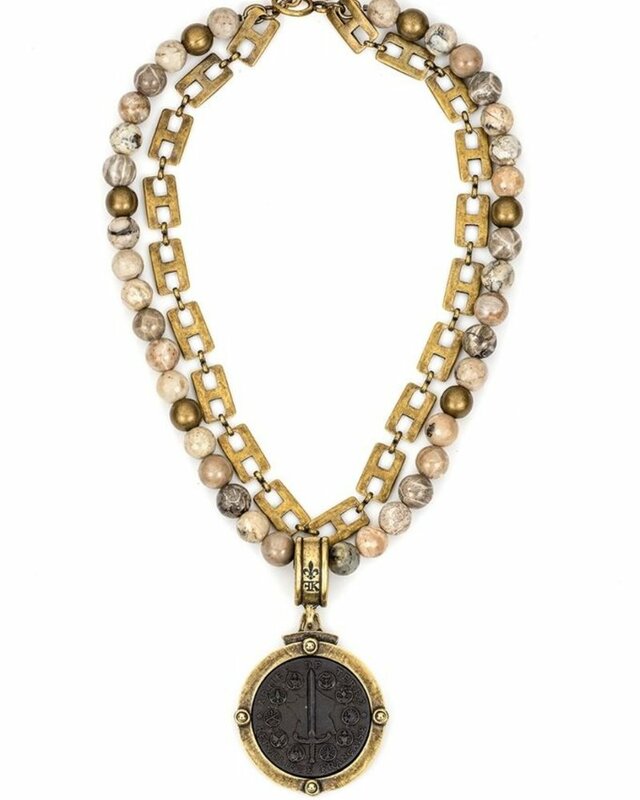 • Strand Length: Short, 17 • Stone Size: 10 mm • Stone Mix Includes: Fossilized Coral, African Opal, Brass Metal Bead • Brass and Black Plated • Cabochon Color: Gold • Each piece of French Kande is handmade in our Los Angeles studio by Californian artisans.